Hey friends - it's the week of good news! First festival announcement for The Real McKenzies in 2015 - GROEZROCK, 01st & 2nd May 2015 in Belgium! It's there first appereance on this festival and they will hit the stage together with other band like Against Me!, The Smith Street Band, Refused, Millencolin Official, Lagwagon and many many more! 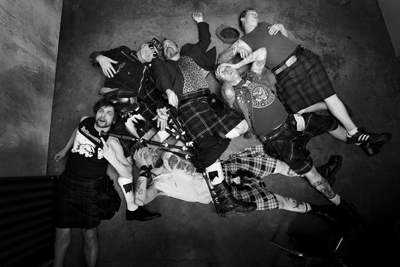 Stay tuned for more infos around THE REAL McKENZIES. 2015 will be back! New record, a biography & a world tour! Damned, 2015 looks so nice! Last day in the office. Before we start with news - we want to thank you. Thanks for the support and really great shows in 2014! It was an amazing year. Thanks to all the promoters for your great work. See you next year - to continue our great collaboration. And thanks to our lovely bands all over the world - Australia, Canada, US, Sweden, UK, Itlay & Germany. We are really looking forward to 2015. It will be an awesome year. Buzzcocks are back in Germany to show you some great punk! & of course the reunion of Satanic Surfers. And the Folk Punk Rock Festival will return in September 2015! Check the page for all infos! So check our website for news & make sure to get our newsletter! But for now - we wish you a Merry X-mas and some nice days with your friends & family! But of course - not without some livemusic inbetween. 27.12.2014 GER / Hamburg / Fanräume im Millerntorstadion SOLD OUT! After slowing down a bit for some years, Los Fastidios - officialpage are fully back now! With two new guys in the band they recorded their first new record since nearly 6 years and already have now more shows for 2015 planned, than they had in the last couple of years together. For us "Let's do it" is probably their most diverse and most organic sounding record up to now! The band is playing a handful of shows - the show at the St. Pauli Fanräume in Hamburg is already sold out! The band will come back in January for a longer German tour. Check the tourdates for all infos! 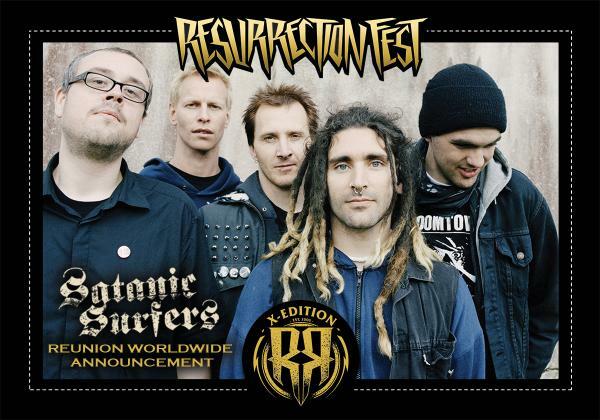 We are very, very happy and proud to annouce the reunion of the legendary band - SATANIC SURFERS! 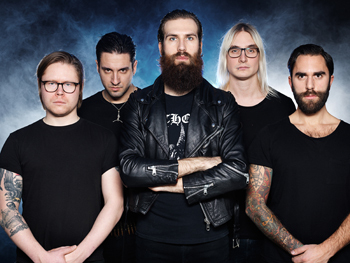 In July, the guys around Rodrigo Alfaro - Official, will hit the stage of the spanish festival RESURRECTION FEST! Look at the new lineup of Atlas Losing Grip! NICE! The tour starts in 4 weeks! Did you already get your ticket? Okay here is what you need to do. Klick on the link below. Choose your city. Get a ticket (and some tickets for you family & friends - It's christmas!). & Looking foward to 2015! Pretty easy! You also can preorder the upcoming album "Currents". But of course, not for our bands! They will be on tour 'till the last day of 2014! Hard working people! And we can promise - 2015 will be fantastic!! For us and for you! Part 1 of the fantastic year 2015! UK SUBS & TV Smith are back in Europe! Cheers! Have a nice week!! Great news to start into the weekend! 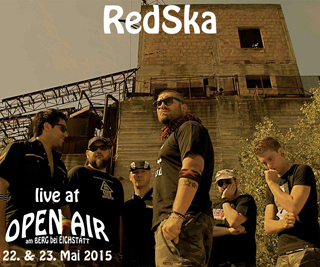 RedSka will be a part of the Open Air am Berg! The festival is on the 22nd & 23rd of May! RedSka will hit the stage on Friday, May 22nd! So make sure to get your tickets soon! Other bands are - Noise Island, Manki Mukke, Tir Nan Og and many more! Tomorrow The Tips will support Jaya The Cat in Saarbrücken! Don't miss them! & If you are in Itlay make sure to visit the record release party of Los Fastidios - officialpage! The new record is called "Let's Do It" - make sure to get a copy! The new album is amazing!